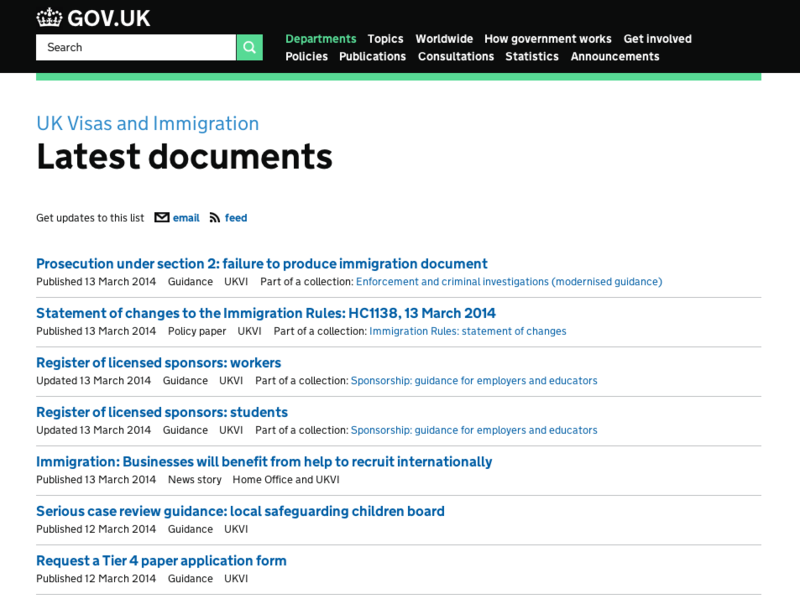 Earlier this week the GOV.UK Specialist team released a small but important feature to a number of pages in the Departments and Policies section of the site. Simply put, we have added a ‘See all’ link to the end of all the ‘Latest’ modules on organisation, topic, topical event and world location pages. Following that link takes you to a page with a paginated list of documents published by that organisation, or about that topic. It’s designed to allow a user to see whats new and also what has been published over time. 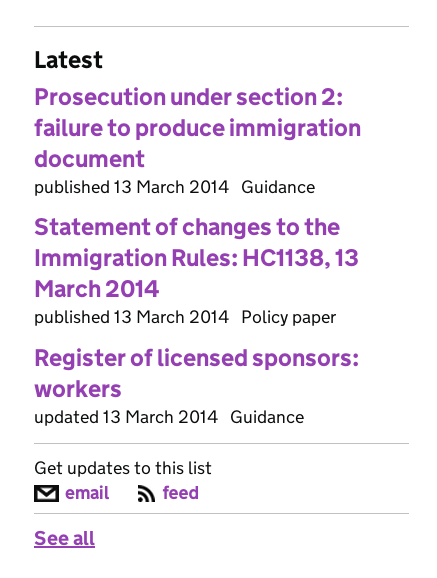 Examples of it in use can be found on the 'Budget 2014' Topic and Latest document page, and the UK Visas and Immigration Organisation page. Stephen has explained how this relates to HMRC content on the HMRC Transition blog but as it benefits all organisations moving to GOV.UK we wanted showcase it here too. We hope you like it but if we can make it even more useful please let us know. I wonder how those three identical links to three different destinations would work for me if I was using screen reader software? Thanks for pointing that out. I've amended the links accordingly. Can I ask: why See All and not, for example, See all documents, or See all posts ? Just curious that you didn't add a third word, ie to highlight to the reader that there are more related articles. It's a great idea, btw, but easy to miss. Thanks for your interest. It's a good question and we will be watching page analytics to see how this feature performs over time. We also continue to involve our user research team on the presentation side of things which helps us understand that data. If there is evidence we should change the wording we will definitely do so.